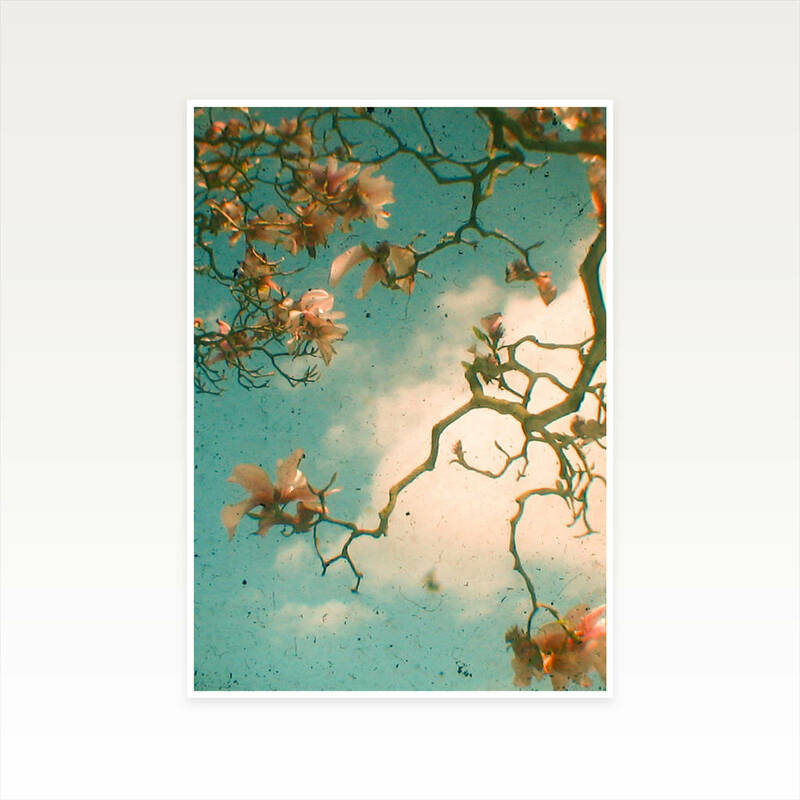 A beautiful floral photograph looking up through a dramatic Magnolia Tree, entitled 'Magnolia Falls'. Taken using a vintage camera; resulting in dusty scratched images. This would make a beautiful gift for your girlfriend, Mum, sister or best friend on any occasion. It oozes feminine charm and will brighten up any space. Maybe you fancy a gift for yourself. Oh go on then! 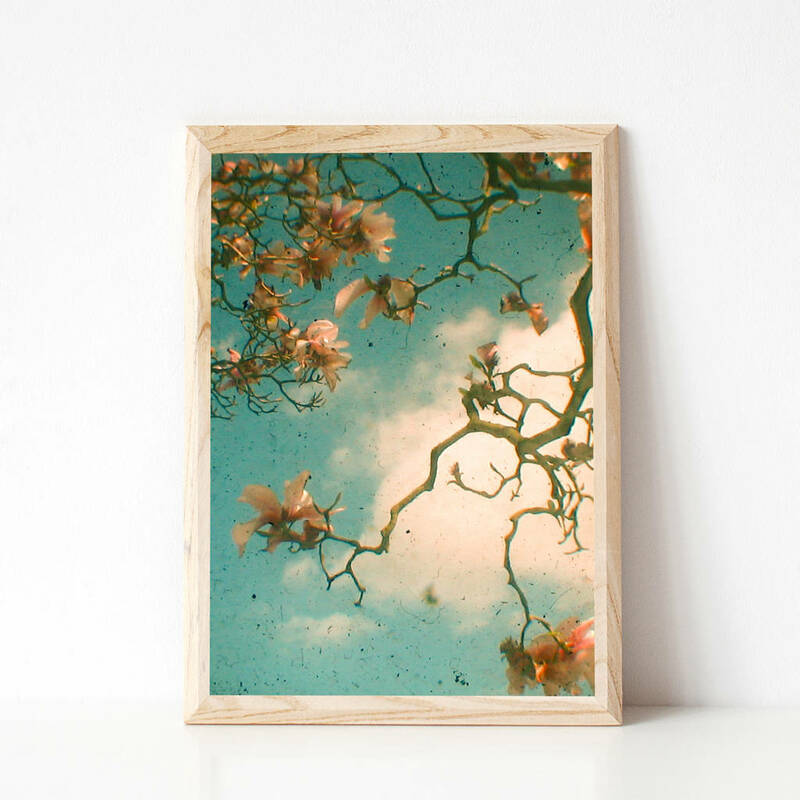 In teal, peach and pink, this piece would make a pretty addition to your bedroom. You can't go wrong with spring flowers!